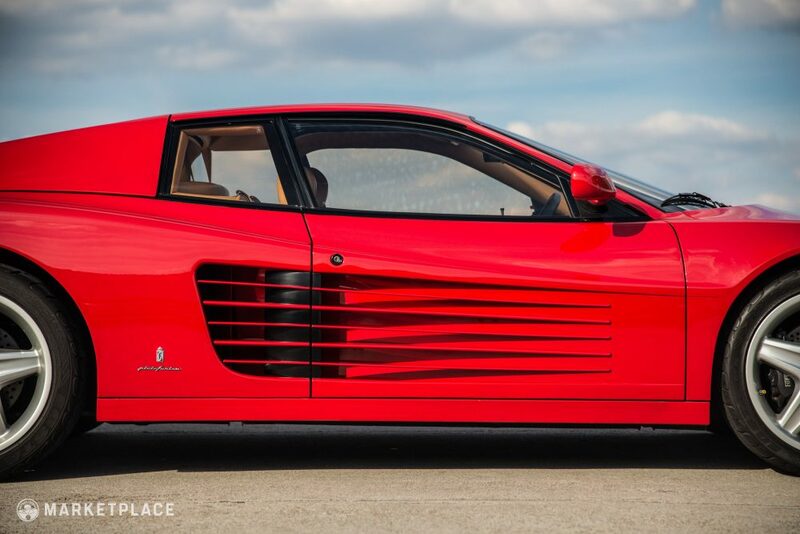 The Pininfarina-designed Ferrari Testarossa debuted at the 1984 Paris Auto Show, astonishing the crowd with its sharp lines, deceptively wide stance, and wild ‘cheese grater’ side strakes. 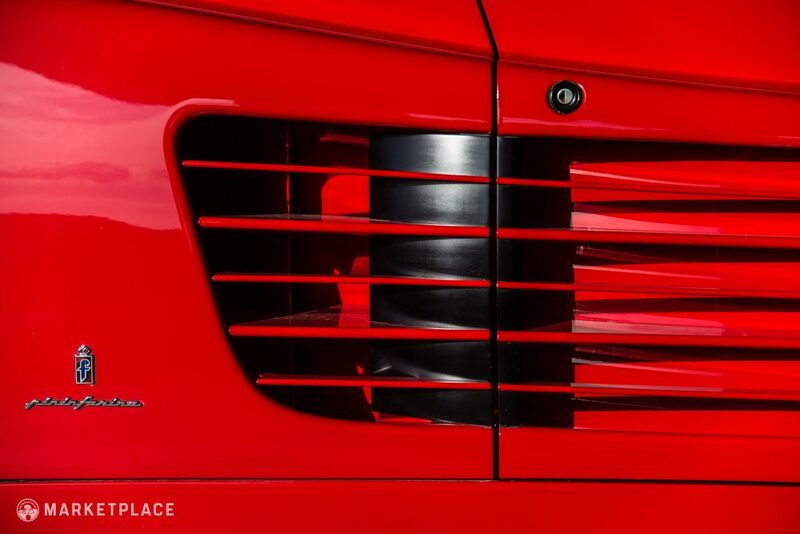 Packing a flat-12 cylinder engine amidships coupled to a legendary Ferrari gated manual gearbox, this striking new Scuderia stablemate moved as quickly as its looks suggested. 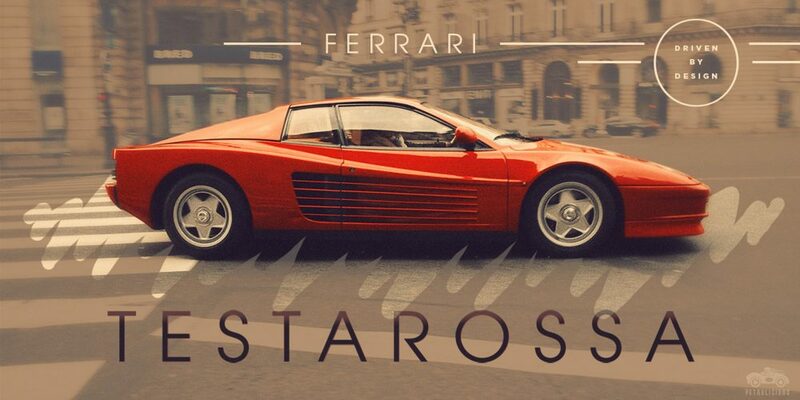 Despite its aggressive aesthetic and potent powertrain, the Testarossa—translated literally to “redhead”—wasn’t meant to be a hardened track monster. 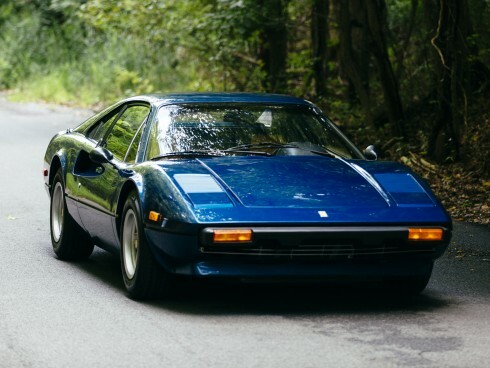 Instead, it was designed as the marque’s more civilized Grand Tourer—a car that could be used daily and enjoyed on longer jaunts. 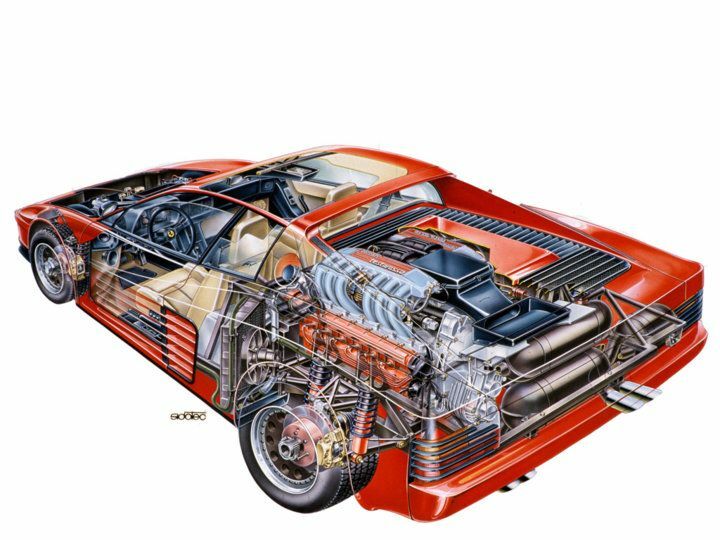 Thanks to massive four-wheel disc brakes, high speed cruising was not intimidating, while the suspension never felt unnecessarily harsh—in fact it rode luxuriously, all things considered. 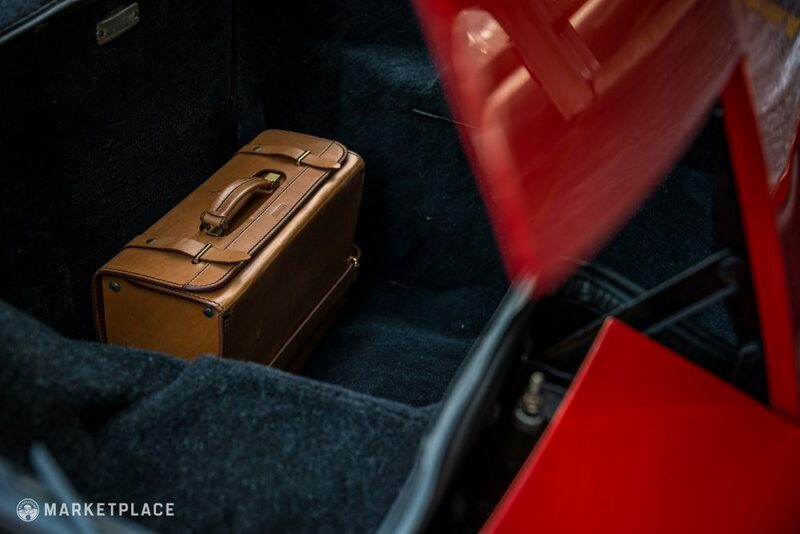 The cabin came loaded with amenities and comfort. 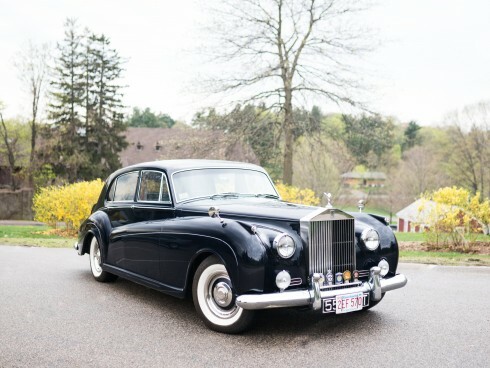 Air conditioning was standard equipment along with power windows and an ample amount of leather, while the large, bolstered bucket seats held occupants tightly in surprisingly plush padding. 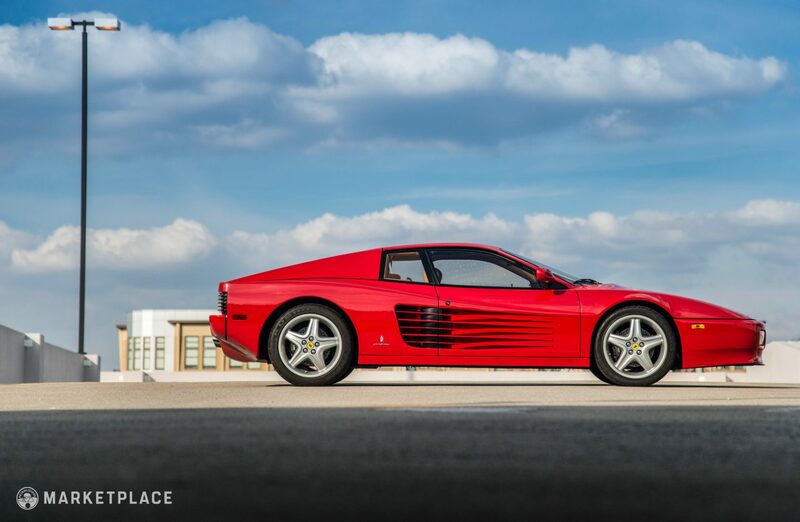 With a refined engine note, and usable low-to-midrange torque, the Testarossa was the ultimate road-going Ferrari of the time; perhaps that’s why more than 10,000 units were sold within its lengthy 1984 to 1996 production run. 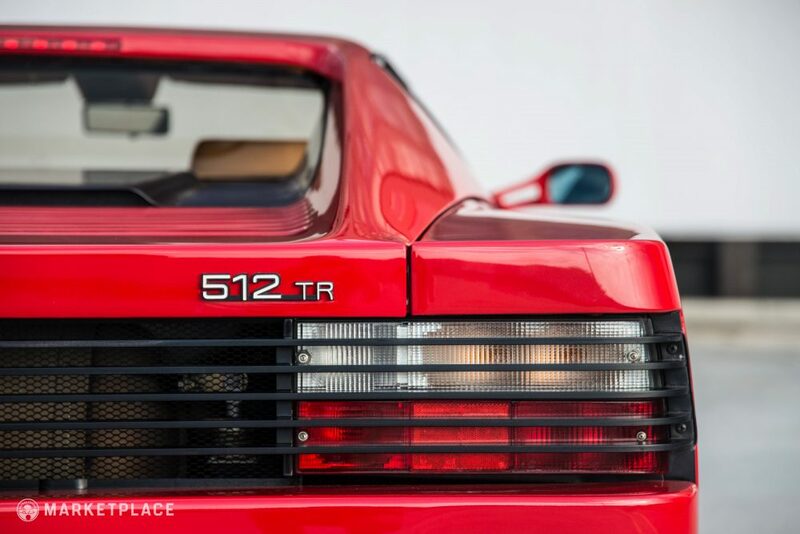 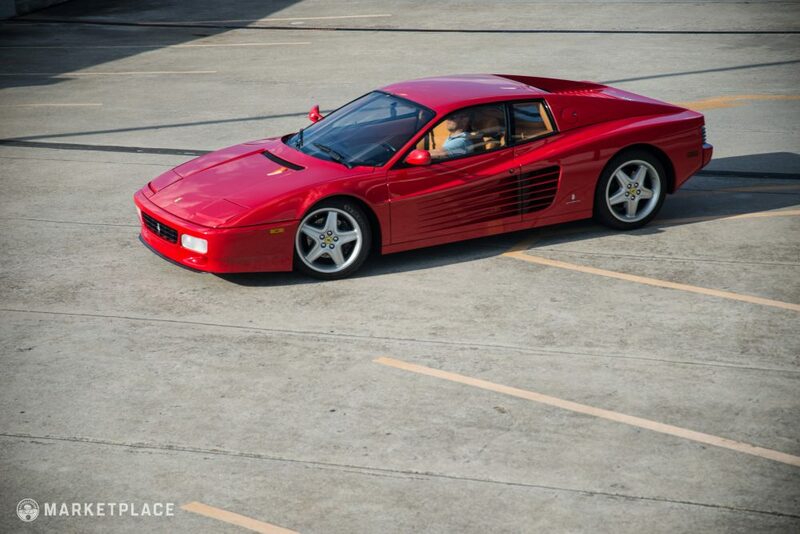 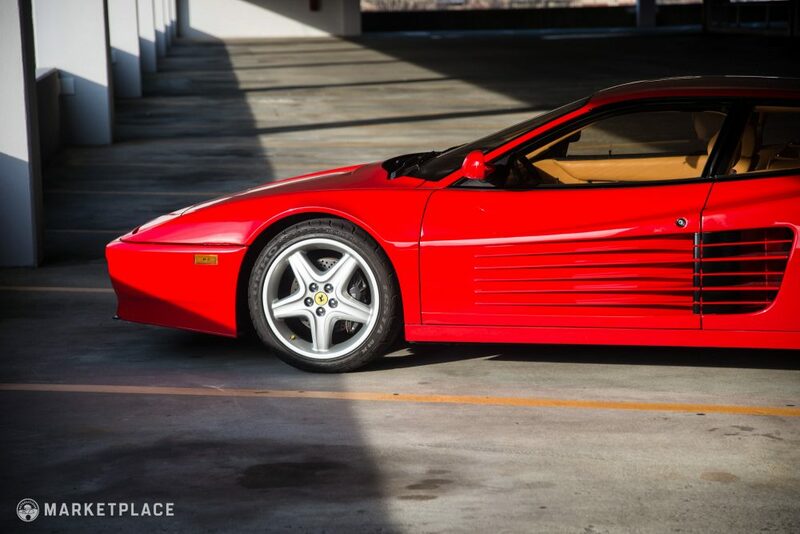 By the 1992 model year, the Testarossa had been heavily revised for its first major mid-cycle refresh, resulting in a new model known simply as the 512 TR. 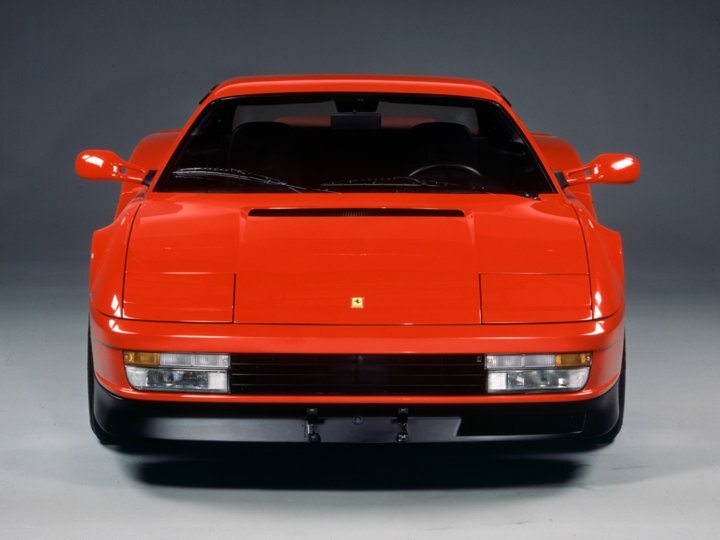 The update consisted of minor bodywork changes to bring the ‘80s shape into the ‘90s—primarily a one-piece fully-painted front bumper, along with new lamps, grille, and larger 18-inch five-spoke alloy wheels. 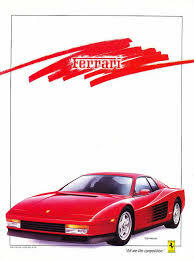 The overall design still worked well with Ferrari’s contemporary lineup, namely the 348. 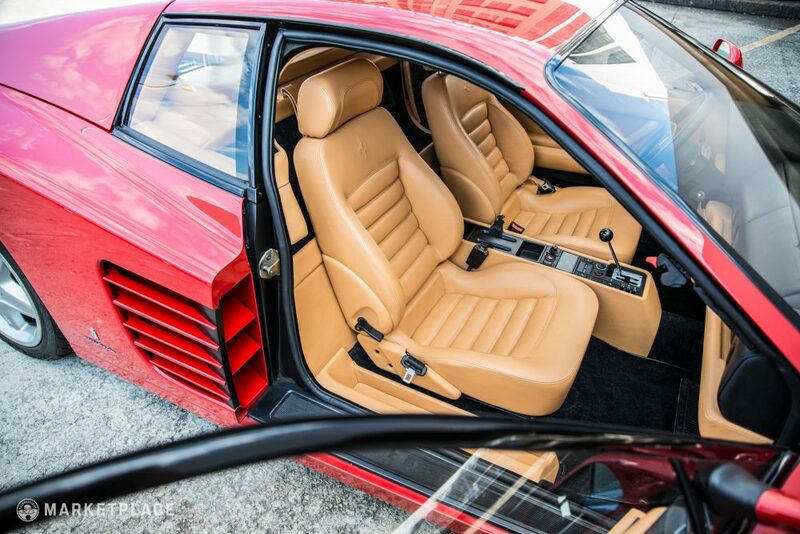 Inside, the 512 TR cabin benefitted from sportier seats, a meatier steering wheel, automated seat belts, and a center console separated from the dashboard. 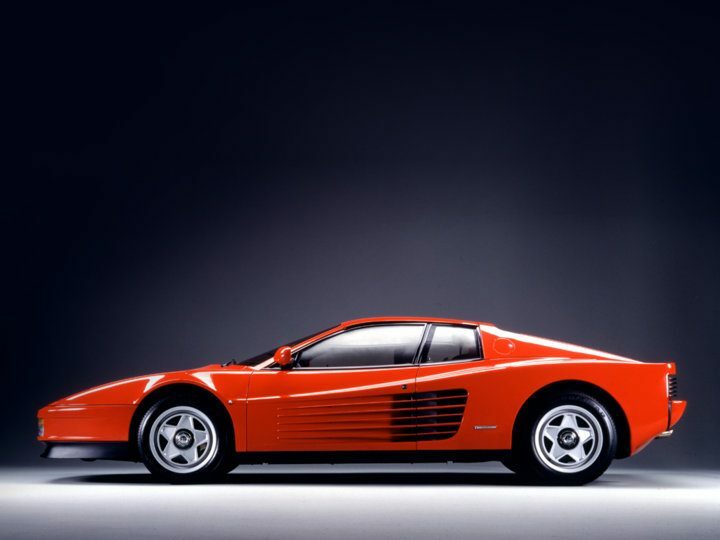 Mechanically, the Testarossa’s notoriously difficult gated shifter was due for improvement, so the 512 TR’s transmission was equipped with a single-plate clutch assembly and ball bearings for easier action. 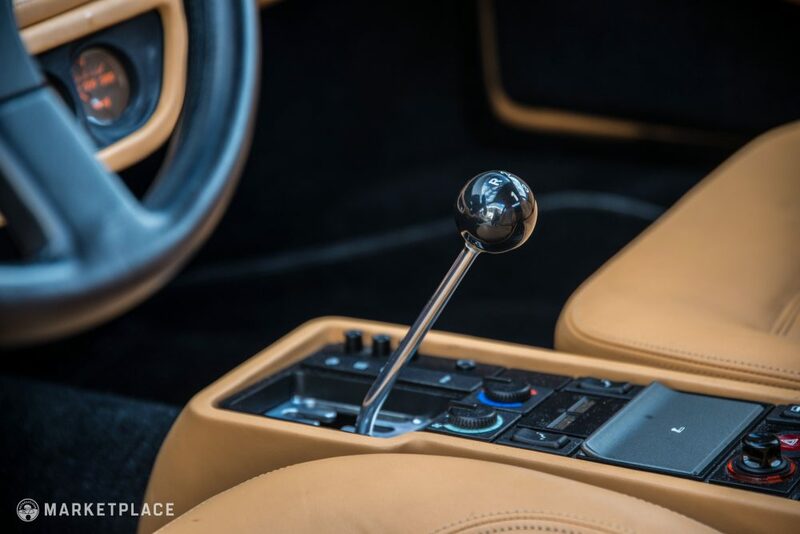 The engine and transmission placement were moved forward for better weight distribution, which also improved the directness of the aforementioned shifter. 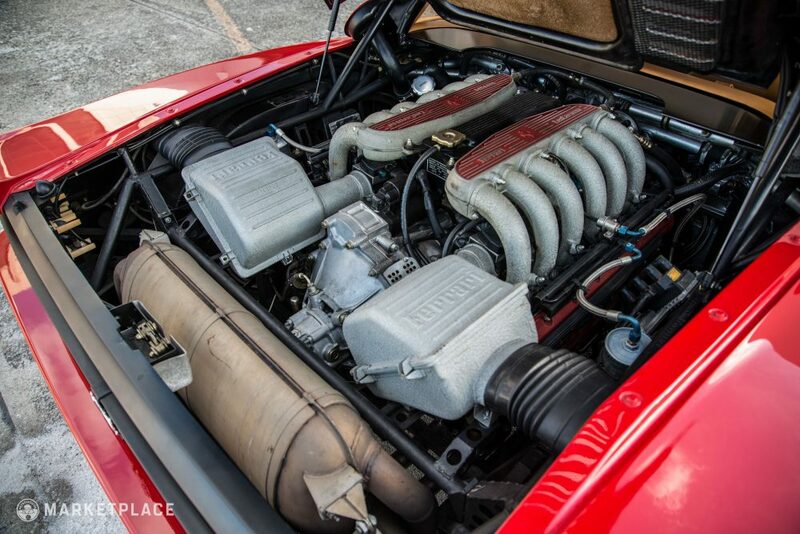 A Bosch engine management system, larger valves, updated exhaust, and Nikasil piston block liners resulted in a more linear power delivery and improved acceleration, with a zero-to-62mph (100 kilometers per hour) time of just 4.8-seconds, a quarter mile in 13.2-seconds, and a sensational 195 mph top speed. 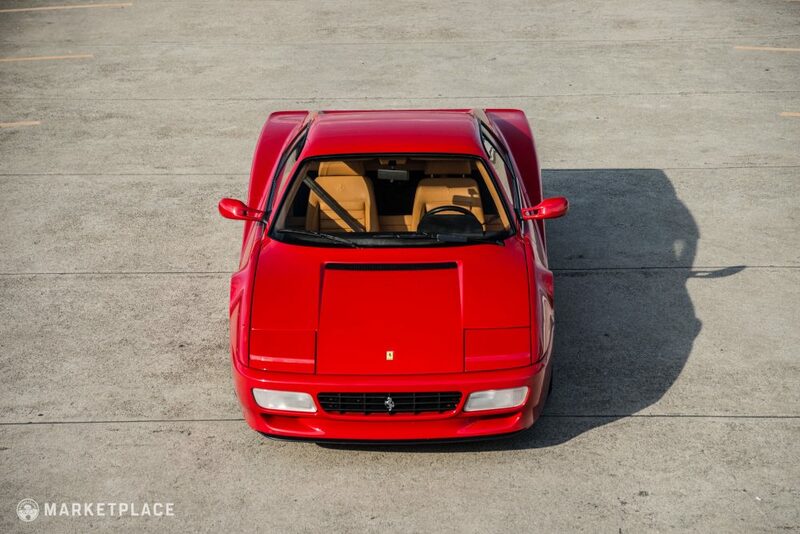 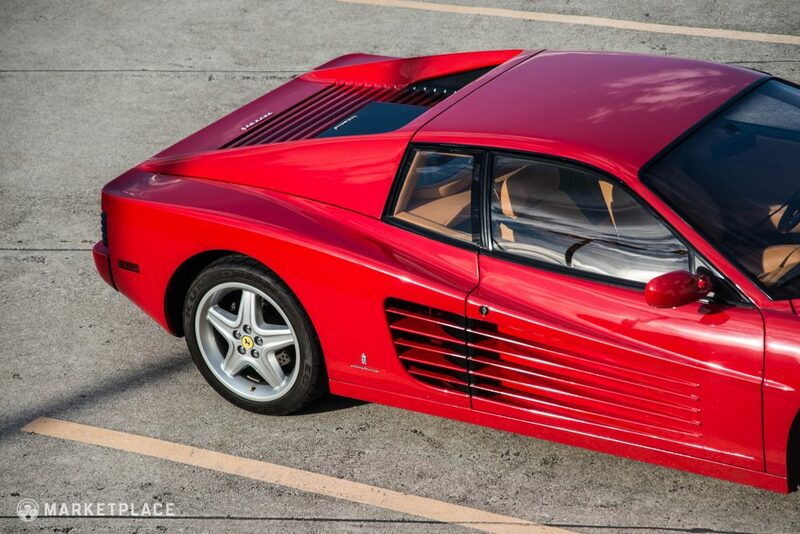 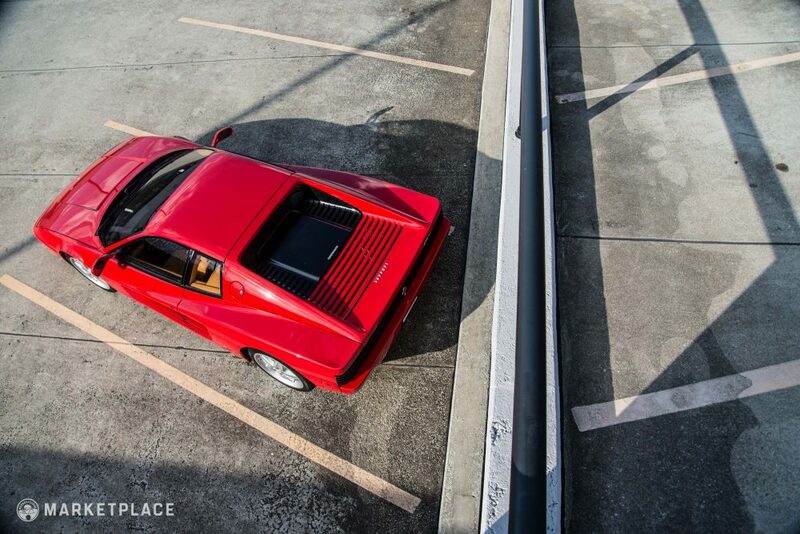 There’s no other way to say it: this 1992 Ferrari 512 TR is a time capsule. 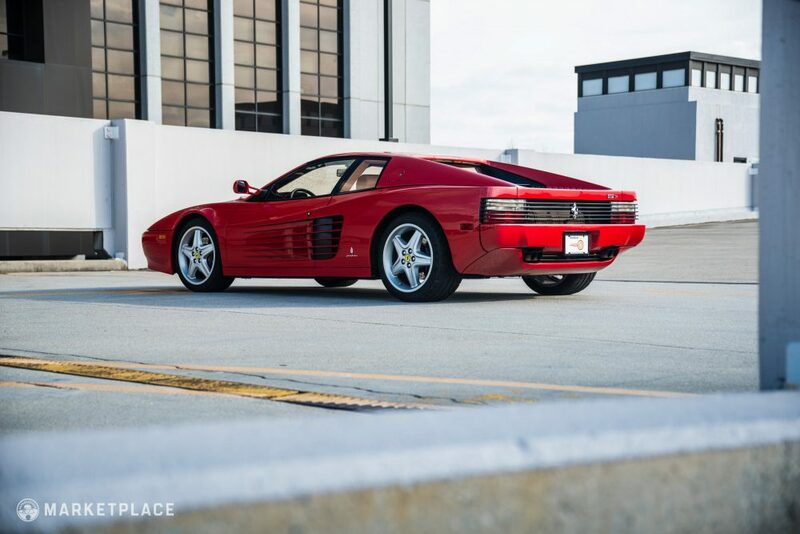 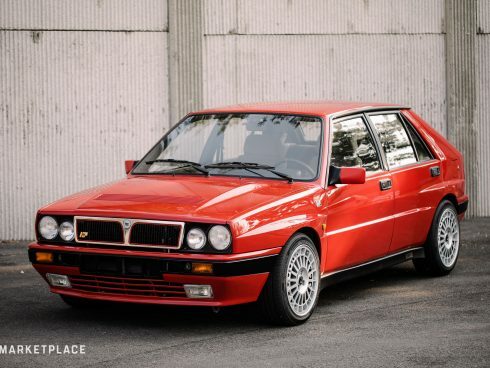 With only 6,905 miles on the clock, the 25-year-old Pininfarina stallion is as fresh as the day it rolled off the assembly line. 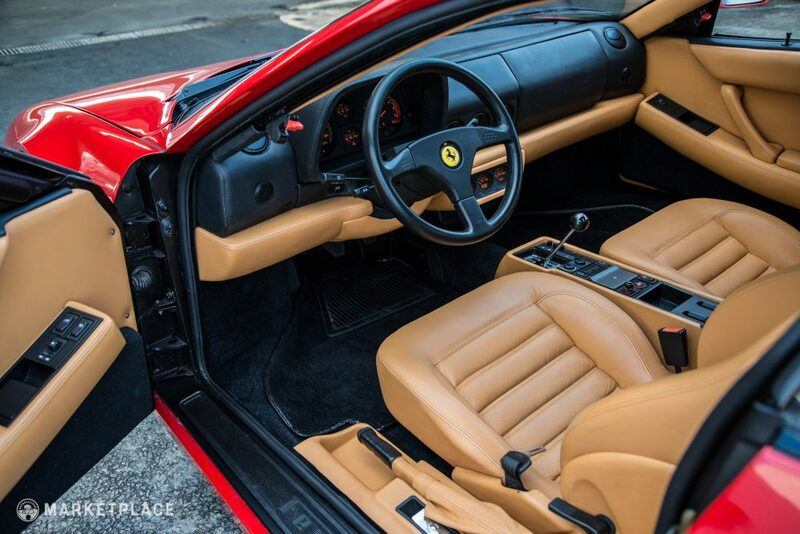 Finished in quintessential Rosso Corsa over tan leather, it’s offered by the original owner for the first time since new. 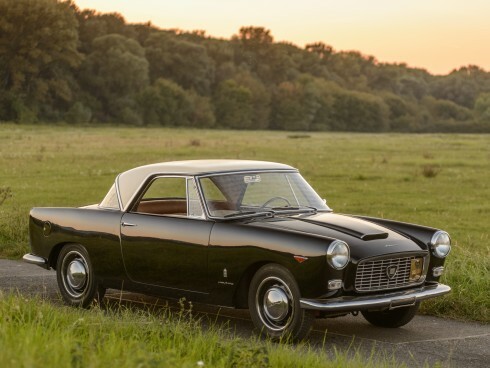 Body – In flawless condition and original throughout, this car has never been involved in an accident and retains all of its factory numbers-matching panels. 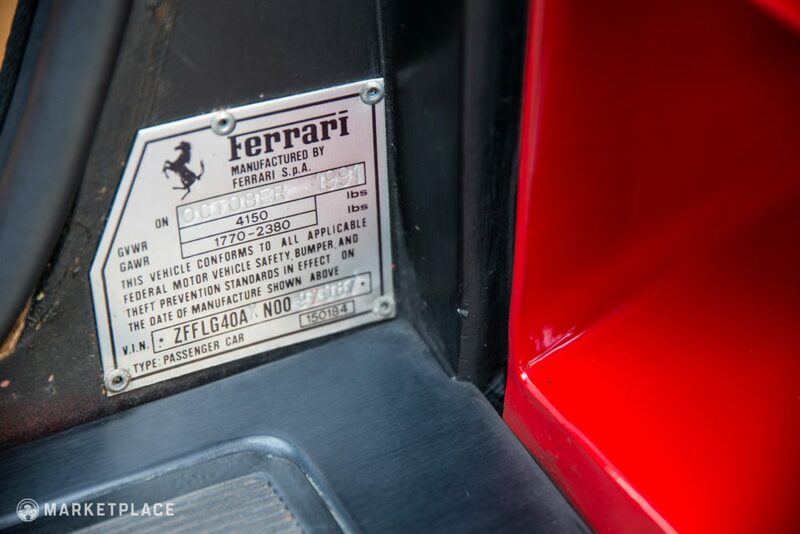 Original lighting, seals, trim, and emblems are intact and stunning. 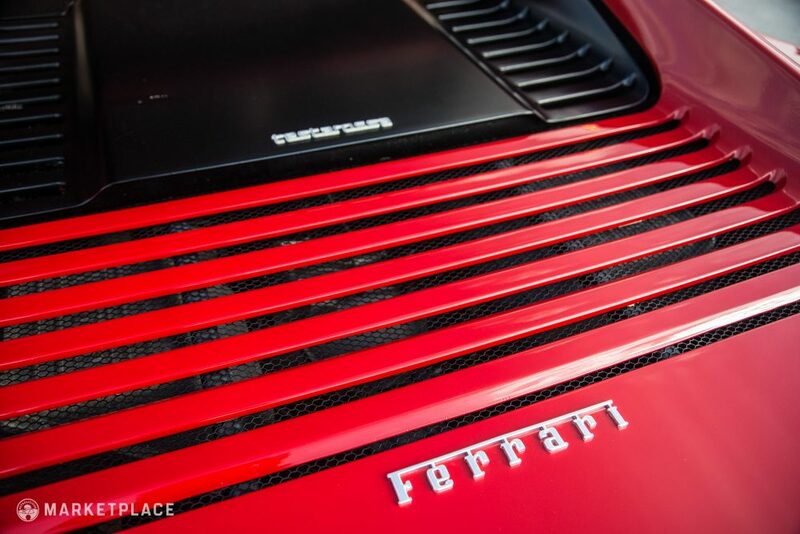 Paint – The Rosso Corsa paint is pristine with no major imperfections to note. 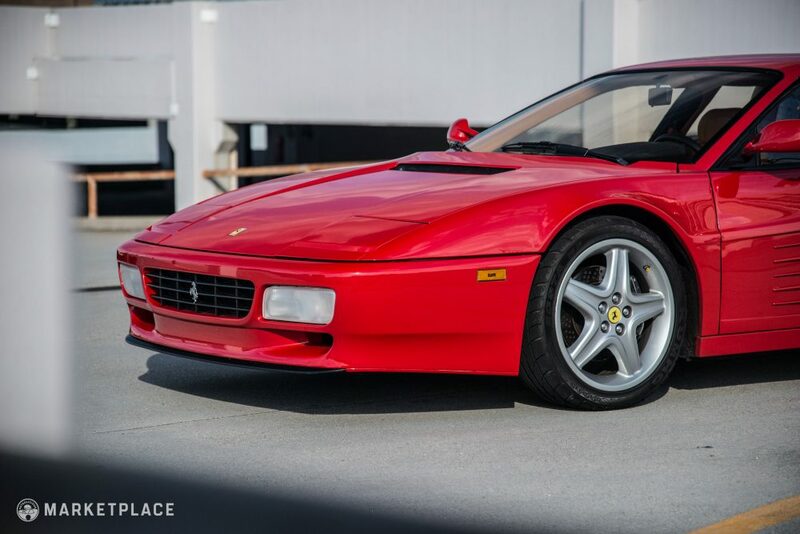 Featuring a deep shine and completely free of sun damage, this redhead looks brand new. 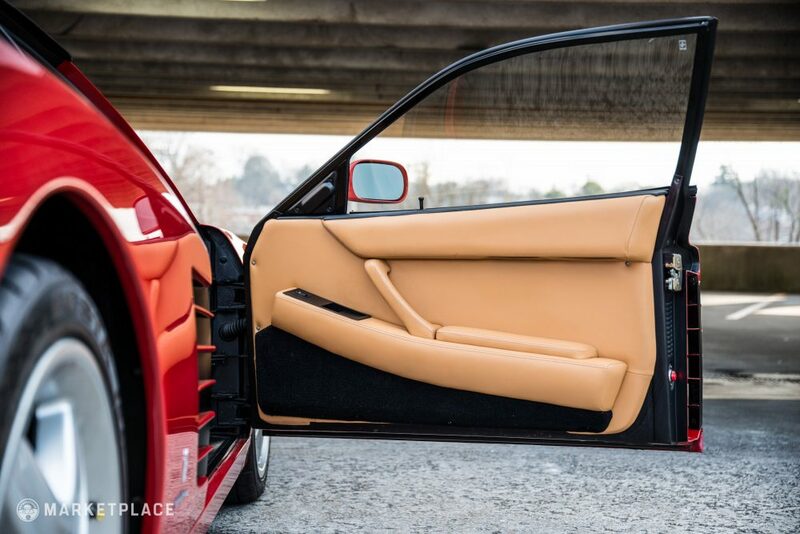 Trim and Glass – All glass is original to the car, including the windscreen, which is devoid of cracks, nicks, or scratches. 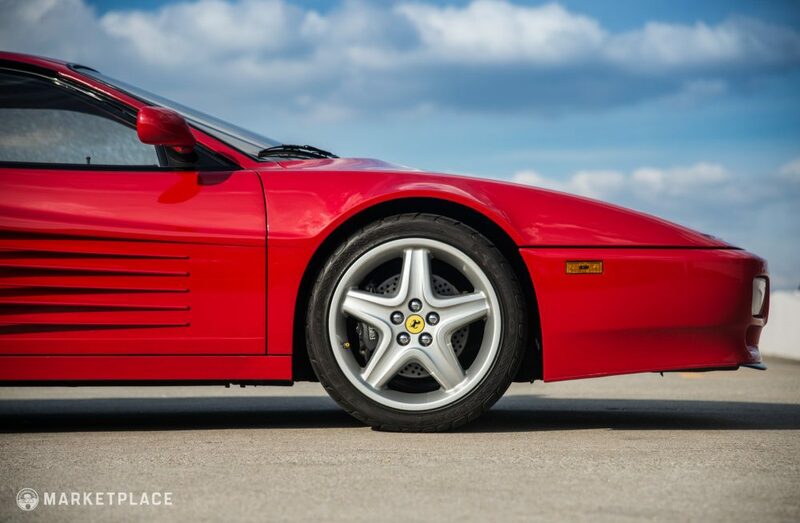 Wheels – The factory 18-inch five-spoke aluminum wheels wear their original silver paint with no curb rash, peeling, or fading—while all four center caps are still present and suitably vibrant. 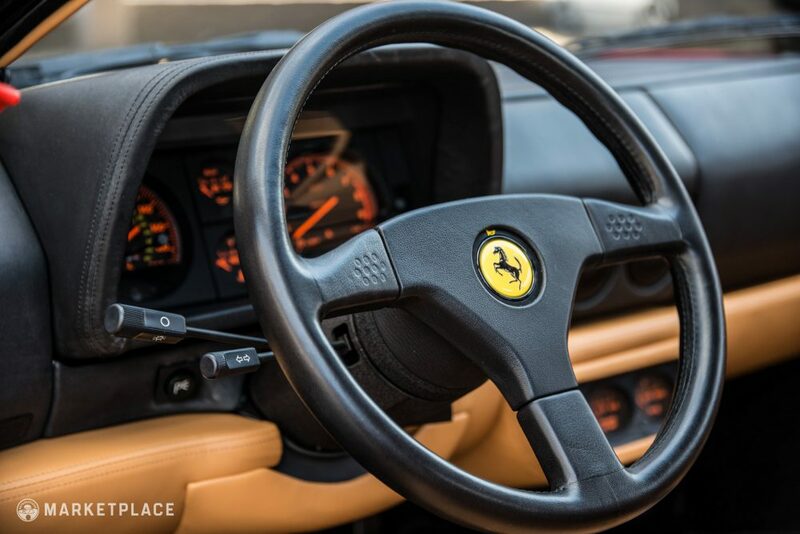 Steering Wheel – The thicker 512 TR leather-wrapped wheel is in place and complete with center horn pad and Ferrari logo—there are no visible scuffs or typical wear patterns. 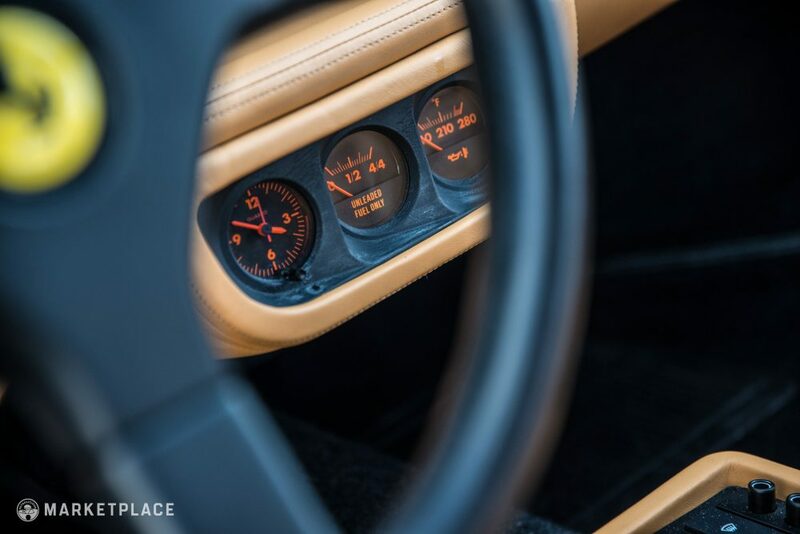 Dashboard & Instrumentation – The black leather-wrapped dashboard is in near-perfect condition with no sun damage, cracks, or flaws. 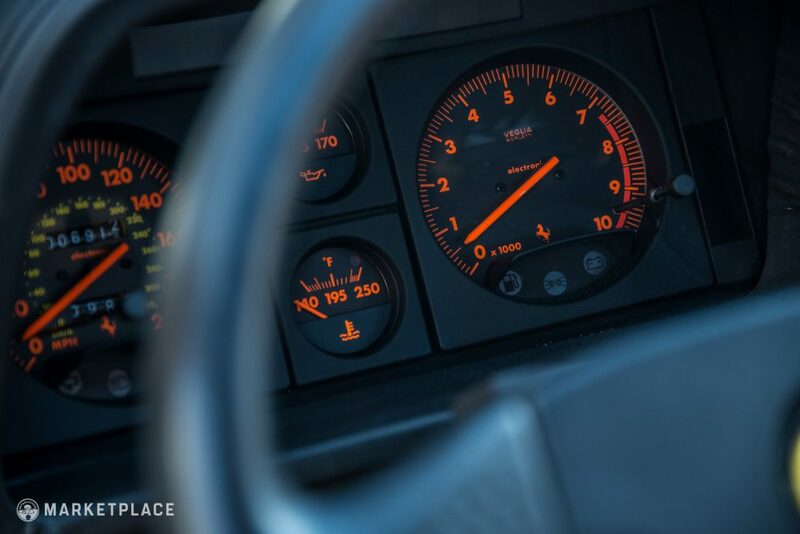 The original black gauges are fully functional and feature bold orange accents. 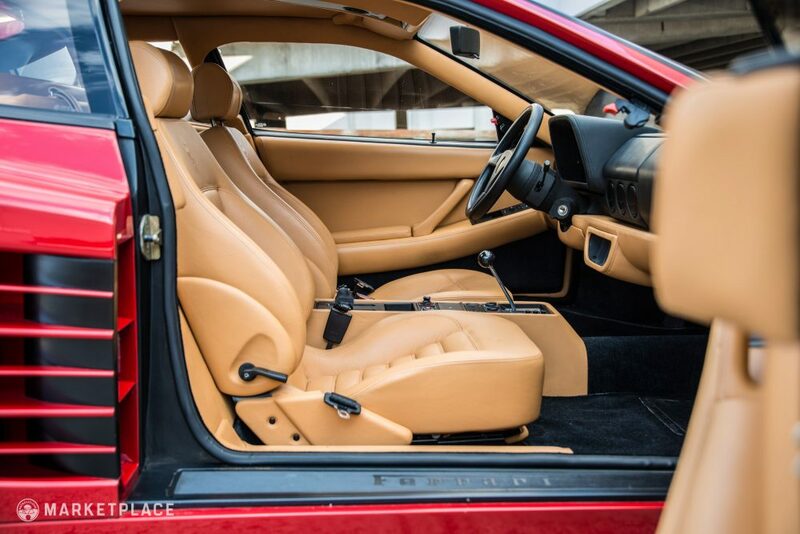 Seats, Trim, & Carpet – The tan leather seats, door panels, and rear parcel shelf show no stains, tears, or sun damage. 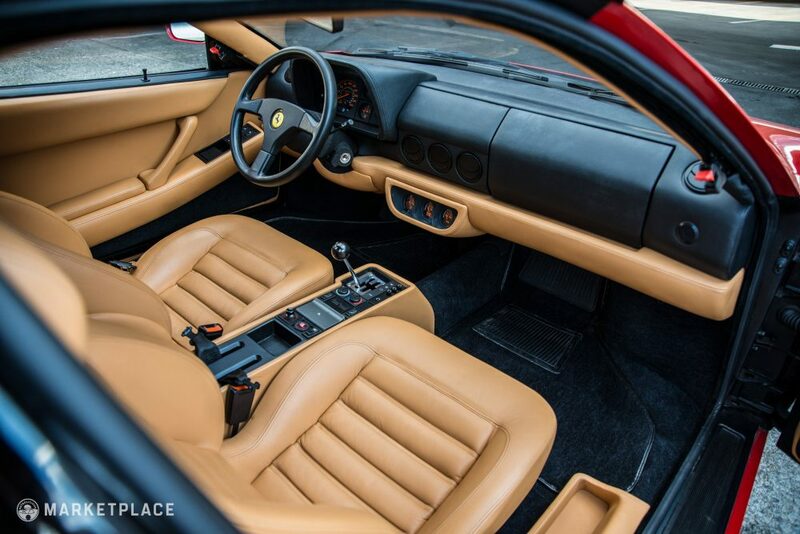 The black carpets are plush and free of any discoloration. 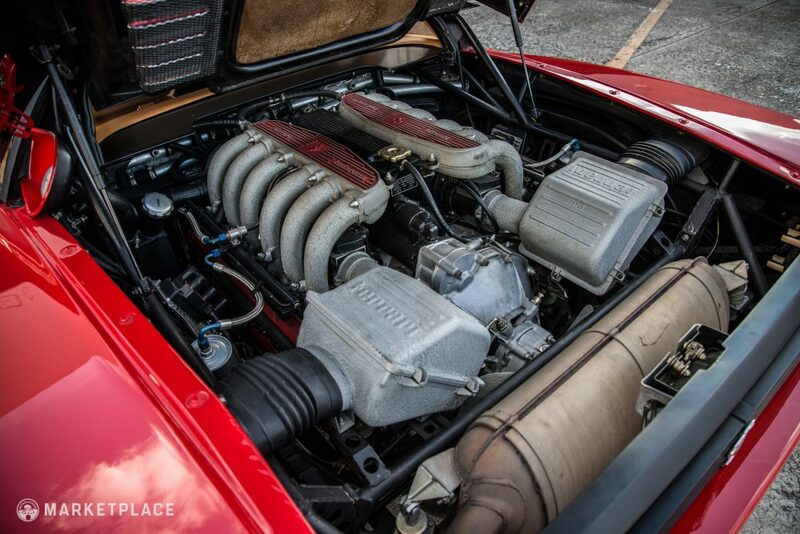 Engine – The numbers-matching 4.9-liter 48-valve flat-12 cylinder engine has been meticulously cared for with its most recent service and belt change (full engine-out) performed at Ferrari of Tampa Bay. 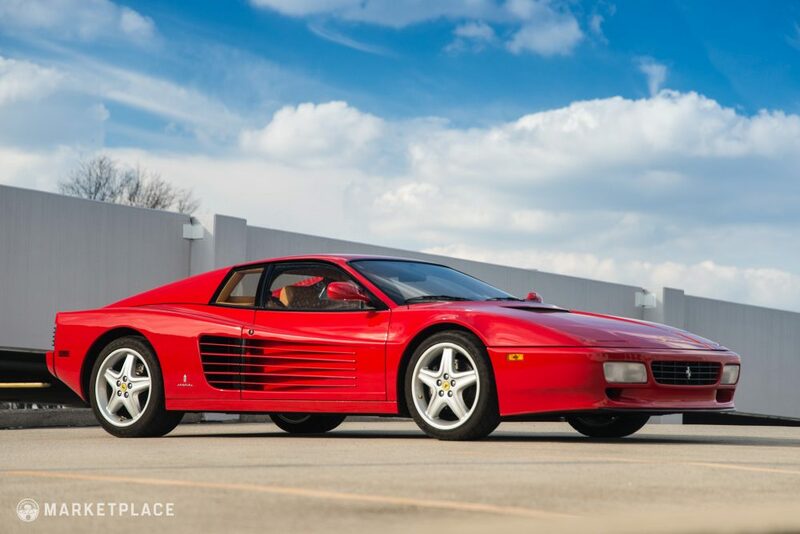 With just 6,905 miles driven since new, this 1992 Ferrari Testarossa is as original as they come while still remaining usable and turnkey. 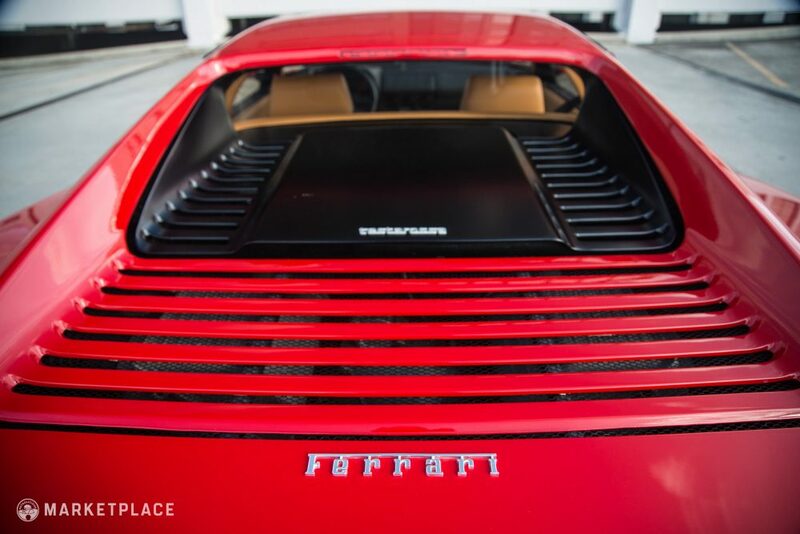 The body panels, paint, wheels, cabin materials, instruments, and accessories are perfectly preserved and fully functional. 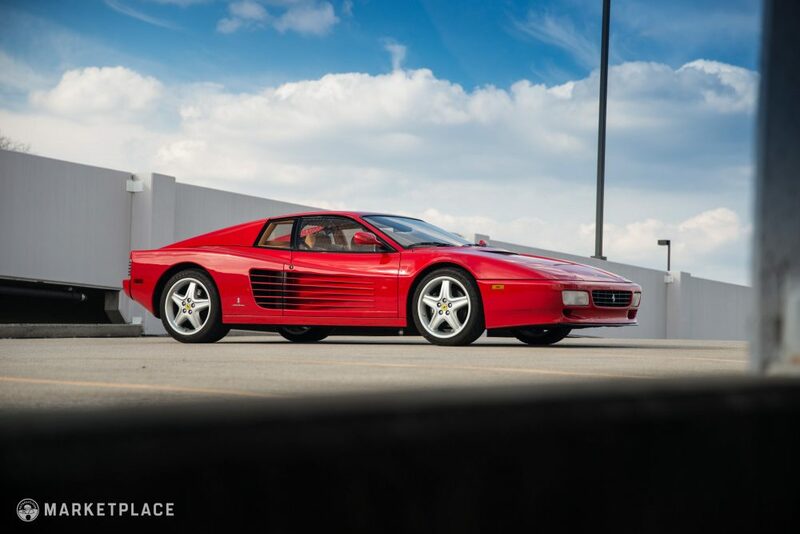 The only replacement items are the usual fluids, belts, filters, and tires. 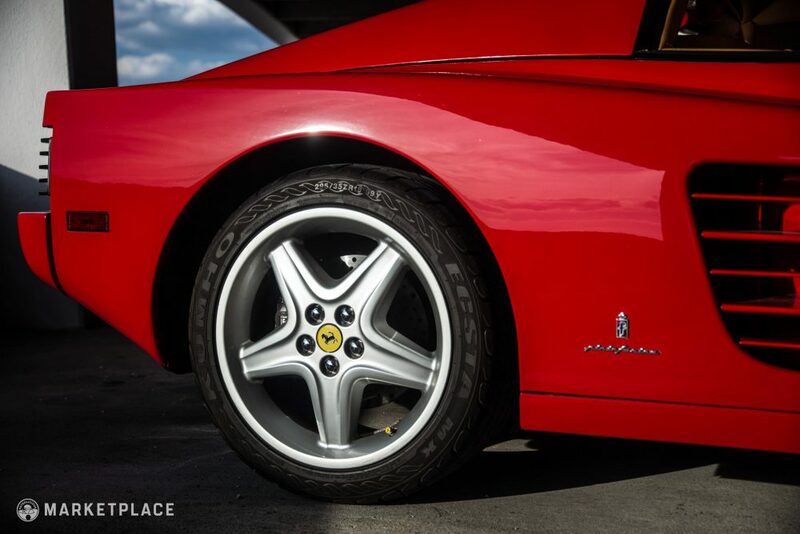 This car comes with extensive service records, including its most recent work completed by Ferrari of Tampa Bay. 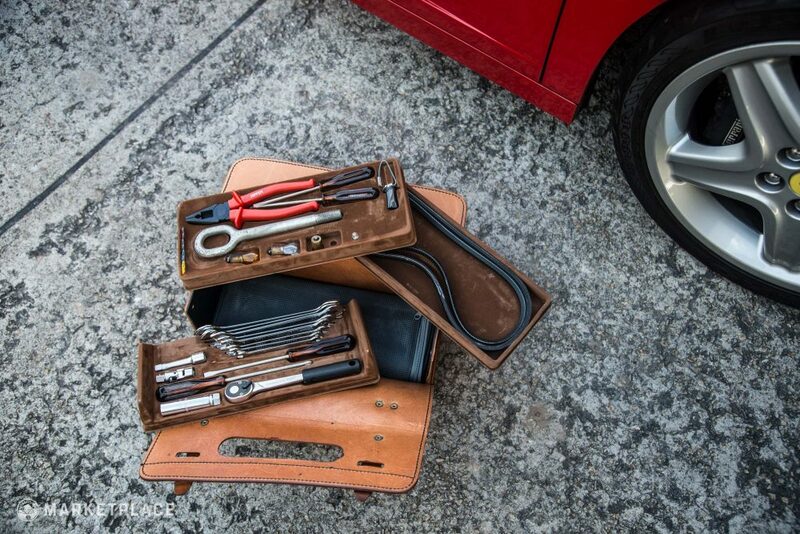 The sale includes all books, tools, records, the spare tire, and the original fitted luggage (not pictured, but available). 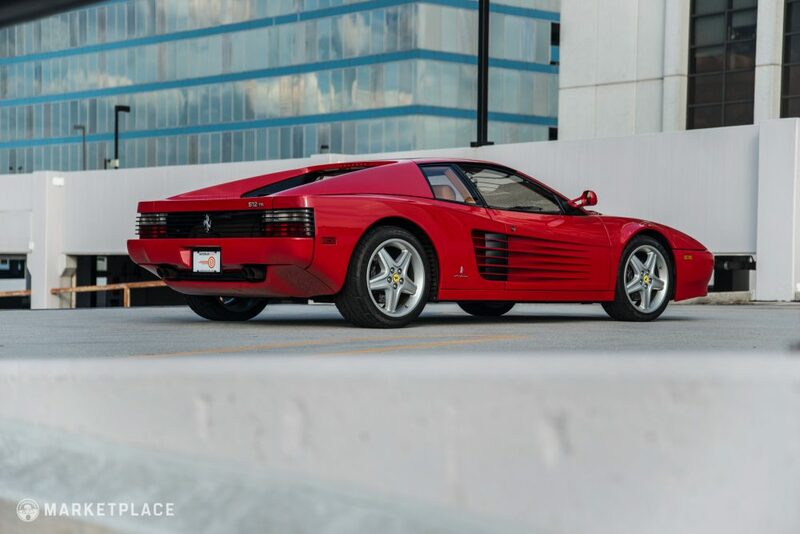 Considering other examples currently listed on the market, this 512TR is seemingly situated at an appropriate position being a one-owner with such low mileage. 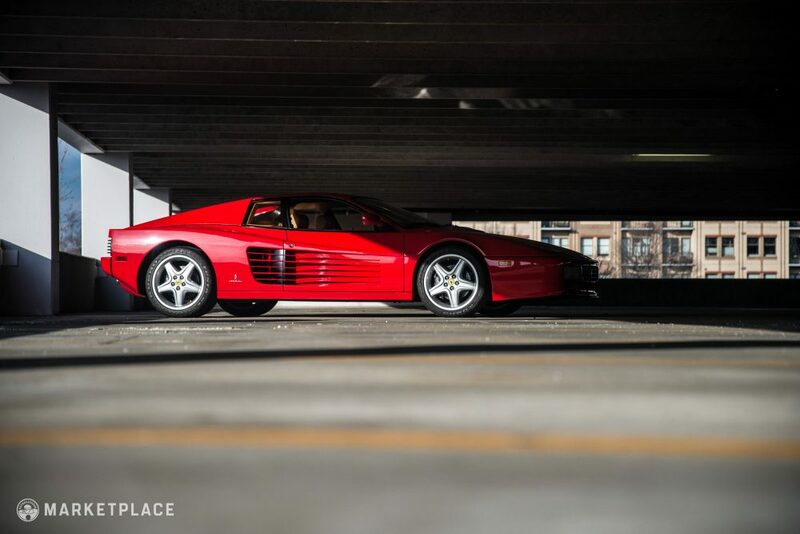 Low Mileage/One Owner: Finding a low-mileage example cared for by one owner is always a good thing, and it’s especially important in the niche market for modern-classic Ferraris. 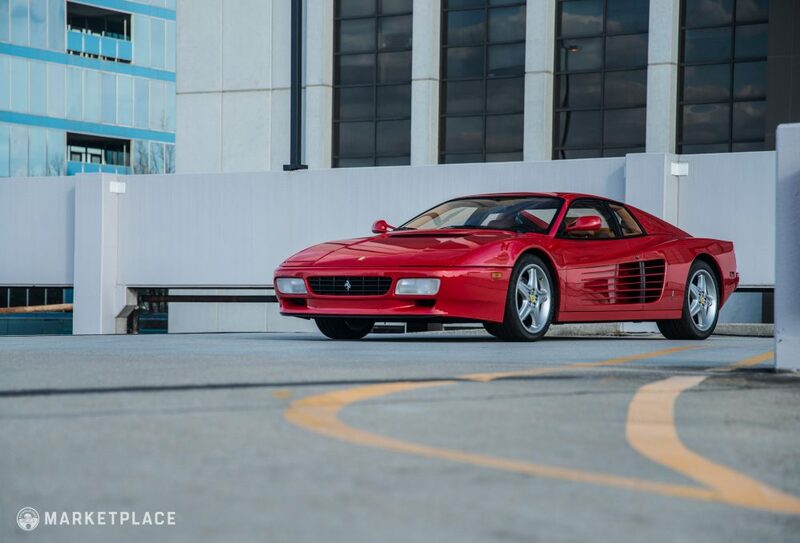 This car checks all the boxes for the savvy collector. 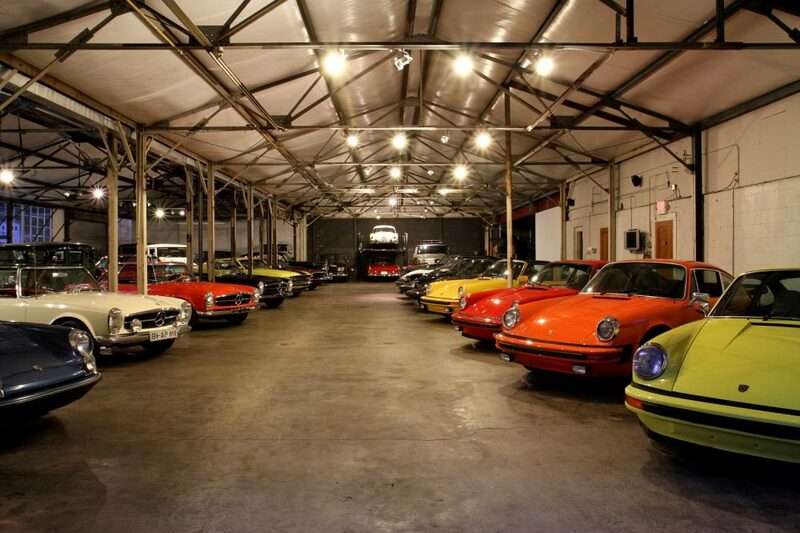 Recently Serviced: Low mileage examples can be a double edged sword as these cars still require maintenance, even though they’re used less. 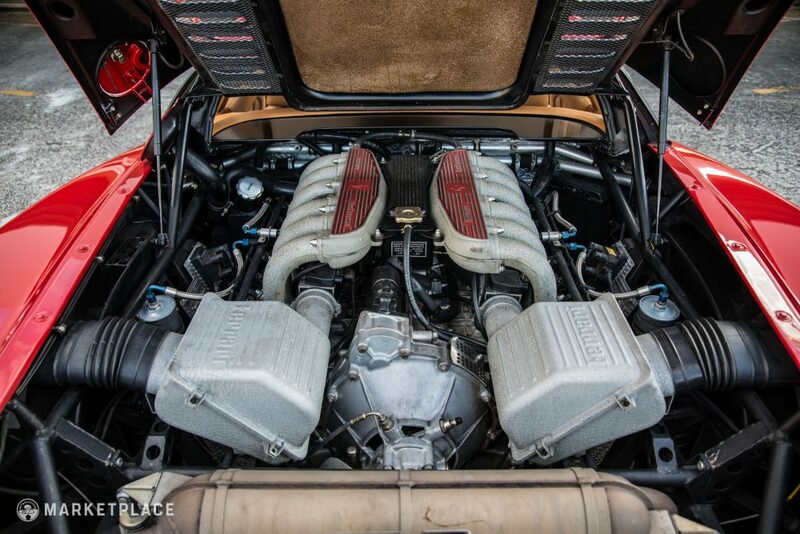 This car has seen a fresh $10k service and is turnkey for the next owner. 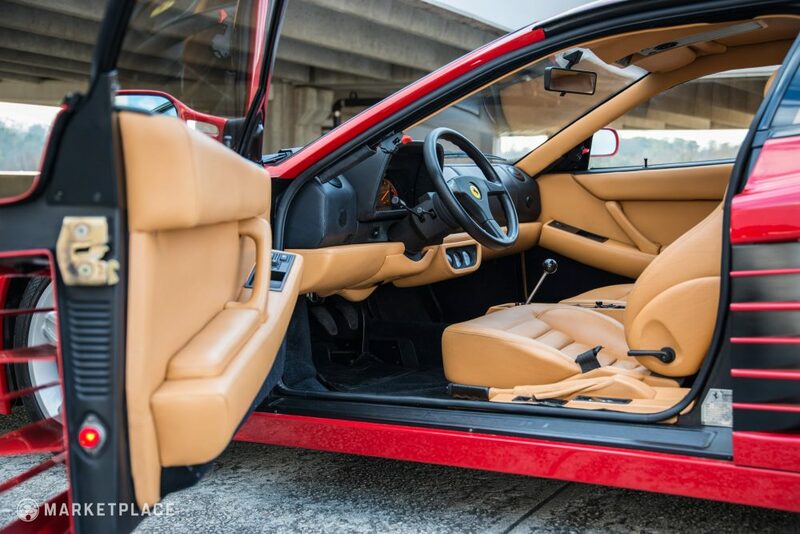 Classic Colors: Rosso Corsa/tan leather is a timeless combination and a signature Ferrari aesthetic. 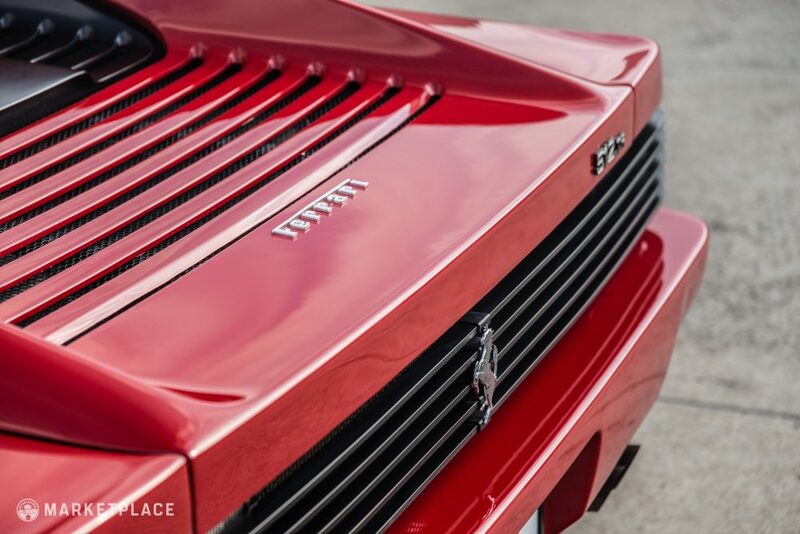 You simply cannot knock a red on tan Prancing Horse. 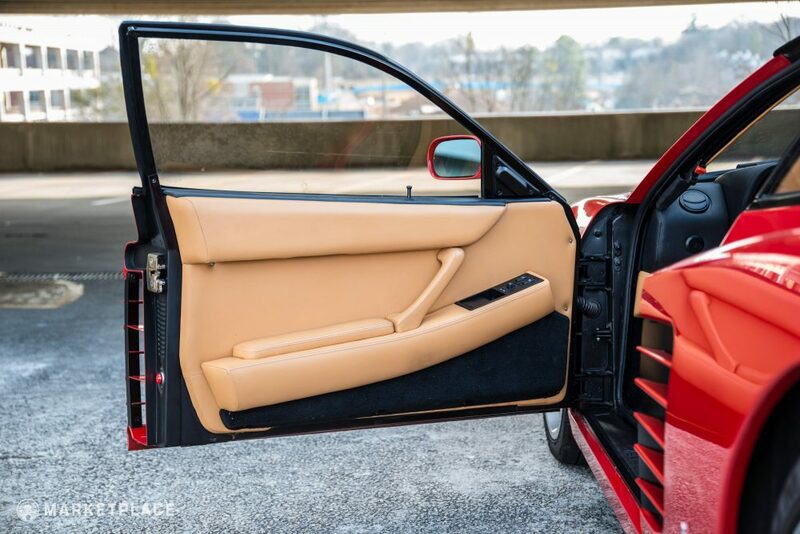 This car is for sale by Chris Baucom of Motorcar Studio in Atlanta, Georgia.